Sam Clement, right, works with second-year graduate clinician Sarah Lavieri at the Eckelmann-Taylor Speech and Hearing Clinic. Editor’s note: This story was originally published on the STATEside campus blog in December 2012. Sam Clement, a 13-year-old from just outside Bloomington, wants to be a writer someday, penning big, long fantasy novels in the vein of authors Rick Riordan and R.A. Spratt. But the someday storyteller struggled to do just that—tell stories—because of his stutter. Last summer, soon after Clement first came to Illinois State’s Eckelmann-Taylor Speech and Hearing Clinic, he stumbled 29 times while telling a 3-minute story. It was Clement’s breathing that was holding him up, meaning the creative Evans Junior High student would trip over his own thoughts before verbalizing them. After just 18 sessions with his speech therapist at the clinic, Clement made the kind of progress that typically takes a few years to achieve, said clinic director Linda Bowman ’81, M.S. ’83, who also carried responsibilities as Illinois State’s first lady up until May 2013. Her husband, Al, has served as ISU’s president for 10 years. Clinic director Linda Bowman, center, and Sam’s mother, Margaret Clement, along with Sam’s sister, watch Sam’s recent session at the clinic. Bowman supervises the graduate student who worked directly with Clement every Wednesday after school. “It’s, like, the best place ever,” Clement says of the clinic. Clement’s is just one of many success stories at the clinic, which has 12,000 client visits every year but is aiming for more. Its leaders say the clinic, on the second floor of Fairchild Hall/Rachel Cooper, is at a turning point, as they modernize its billing system to treat more patients while also expanding services and beefing up marketing efforts—all to shed its image as one of Illinois State’s best-kept secrets. But it all starts with patients like Clement. After Bowman and her second-year graduate clinician, Sarah Lavieri, got to know Clement, they played back that 3-minute recording so he could hear it. They taught him the normal breathing pattern for speech, doing exercises such as having him describe a photo in one sentence after taking a breath first. Eventually, Clement was able to identify when he would stutter ahead of time, so he could correct it after-the-fact or stop it before it happened. Clement finished his sessions last fall, with Lavieri finding creative ways to help Clement make breathing more second-nature, such as a competition that rewarded Clement with chocolate candy as a prize for staying focused. “We try to create situations where he’d have a hard time,” said Bowman. Sam Clement, right, works with second-year graduate clinician Sarah Lavieri, center, and two undergraduate students at the Eckelmann-Taylor Speech and Hearing Clinic during a recent session. Lavieri is one of around 115 graduate students—85 in speech language pathology, 30 in audiology—who work directly with patients at the clinic, which opened in the mid-1930s. 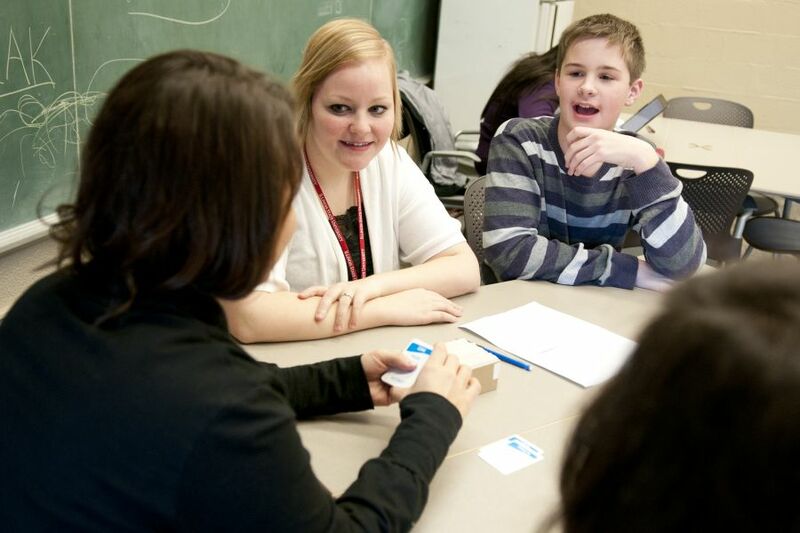 Those students offer diagnostic and therapeutic services to individuals with various speech, language and hearing disorders. They’re each supervised by licensed professionals from the Department of Communication Sciences and Disorders’ faculty. Leslie Townsend, nearing the end of her four-year doctoral program in audiology, said the clinic has given her a broad experience with both children and adults—patients who often leave an impact on their clinicians. For Townsend, it was a woman who started crying after being fitted with hearing aids. It was one of Townsend’s first fittings, during his very first semester working at the clinic. “I’m like, ‘Is everything OK?’ And she’s like, ‘I’m just happy I can hear again.’ It just melts my heart. Because to impact somebody’s life that way is just incredible. You think, ‘Oh, it’s just a hearing aid.’ But to them, it means so much more,” said Townsend, a 24-year-old from Winnebago. Many clients live in Bloomington-Normal, while others drive more than an hour to get to the clinic. 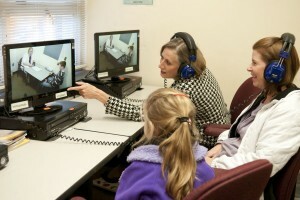 It is one of the largest in the Midwest with 18 speech therapy rooms and three audiology booths. Some in the Twin Cities mistakenly believe that the clinic only serves Illinois State students, faculty and staff, but that’s not true, said Bowman. “We offer services at reduce costs to anyone who wants to take advantage of them,” she said. Bowman, a speech-language pathologist who was the department’s longtime faculty advisor, took over as clinic director in fall 2011. By then, the clinic had gone five years without a full-time director overseeing the clinic’s office manager and the two directors of clinical experiences in speech pathology and audiology. Now, after recently modernizing the clinic’s fees and charges structure, Bowman and her staff this year launched an electronic system for billing, scheduling, and maintaining health records. That will allow the clinic to bill Medicare and individual insurance plans for the first time—a major step. The clinic can bill Medicaid with its current paper system, but clients today largely pay out-of-pocket, using a sliding fee scale based on their income. Also launched this year is the clinic’s first marketing plan—fliers, brochures, and Web materials crafted with help from an outside business-management group that Bowman hired. The goal of running the clinic more like a business is to serve more clients, Bowman said. She hopes, for example, to double the number of audiology patients—about half its total clientele—in the coming years. And there are plans under way to move the clinic into a larger, more accessible location. Bowman said she’s optimistic that new space could be open in 2014. That increased marketing should help the clinic’s newer offerings, such as the Children’s Hearing Evaluation and Rehabilitation Program, or CHERP. 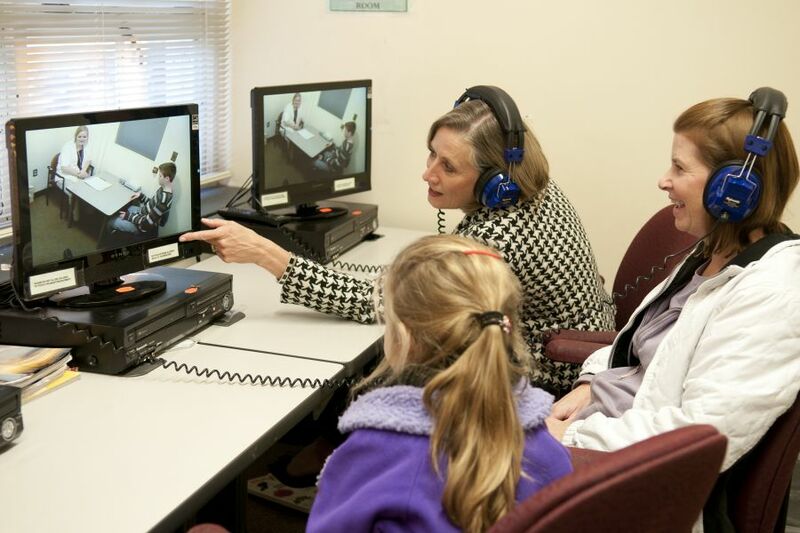 First created in spring 2012, CHERP consolidated all of the clinic’s pediatric audiology services under one roof, with a separate director and three audiologists with pediatric expertise, said CHERP director Lindsay Bondurant, an assistant professor in audiology. The clinic’s supervisors and students work diligently to stay up to speed on evidence-based best practices, said Bondurant. While CHERP is aimed at bringing in more pediatric clients, another program called Brain Aerobics for Seniors launched this year to lure more adults. That new cognitive stimulation program looks to enhance the aging process, using a combination of stimulation activities, lunch-and-learn guest lectures, intergenerational counseling sessions, and even “homework” assignments. The program for local seniors, which will run about 14 weeks, will show students how they can take what they learn in the classroom and apply it clinically and into a research setting, said Jennine Harvey-Northrop, the speech pathologist and assistant professor who is leading Brain Aerobics. “This will be a nice opportunity for them to see how that comes together,” Harvey-Northrop said. Before coming to Illinois State, junior Tori Hornbostel had never sought treatment for her stutter, “because I was afraid, for whatever reason.” But after hearing Bowman, one of her professors, mention the clinic during class one day in spring 2011, the Wauconda native decided to give it a shot. Now, after three semesters of treatment, the speech pathology major’s stutter is largely under control. Today, Hornbostel still helps graduate students who are studying adult stutterers, with plans to get her own master’s degree in speech at Illinois State and work with stroke patients, preferably at a hospital. As a patient, she liked knowing her therapy was also helping the graduate clinicians learn the skills they’ll need out in the workforce. And the clinic helped put her in touch with University’s Disability Concerns office, so she could get a special card that she presents to professors at the start of the semester, alerting them to the fact that being spontaneously called on can trigger her stuttering. Hyperacusis Clinic - a unique service for children with sound intolerance.